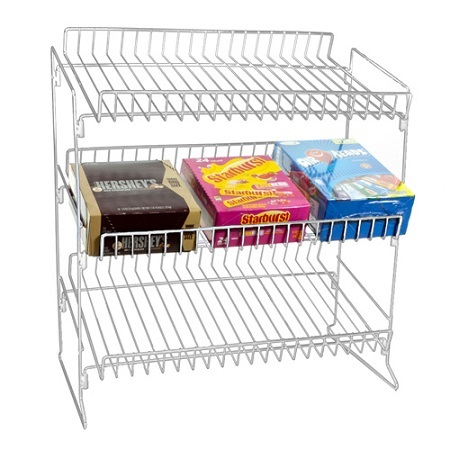 Show off your candy at the checkout lines by using one of our 3 Tier Wire Countertop Racks. 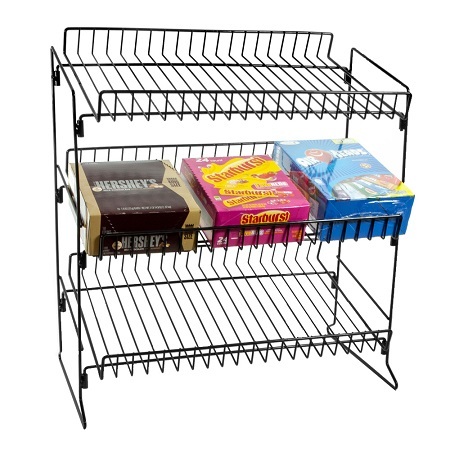 Available in white and black, this candy rack is sure to fit in with your existing decor. 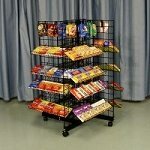 This metal display stand comes with three shelves that feature a lip at the front to keep merchandise in place. Advertise various types of merchandise like boxed candy bars, cookies, nut bars, chewing gum and so much more. 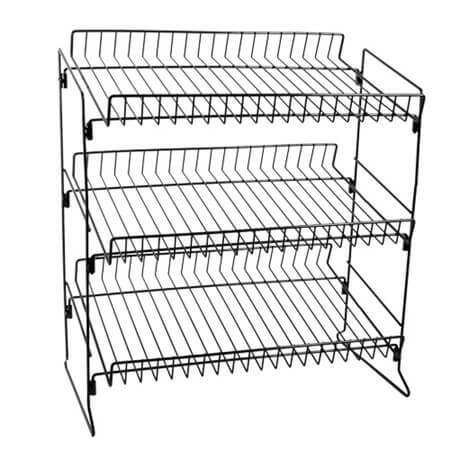 The steel construction of this counter rack gives you peace of mind knowing this display is sturdy and dependable. It will ship knocked down to save money on shipping but assembly is a breeze so you can have it up and stocked in no time. 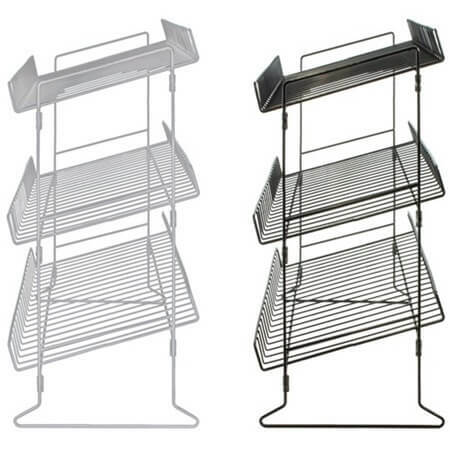 Place your nacho chips on this wire rack next to the cheese dispenser on your counter. Put chocolate bars on the bottom shelf, graham crackers on the next and top with bags of marshmallows for a one-stop s'more shopping spot. Elevate your candies and other goodies up to eye level when you put the wire display on your counters. Standing just two-feet tall it allows you to fill up three tiers while the wire structure allows clear viewing of all items held on the rack. Purchase your countertop candy display today. Perfect for our Flea Market. Holds all of the candy bars we sell. Looks much neater than the boxes. Sturdier than expected. Pleased with my purchase. This product looks great and totally functional for our counter top display! I wish there were some sort of rubber stopper on the bottom, but that was easily customizable by us once we got it.